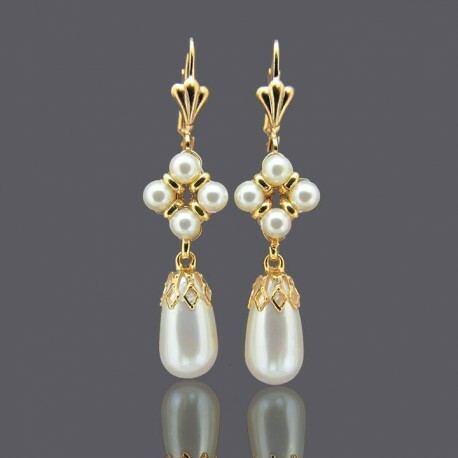 Flower shaped pearl drop earrings gold. 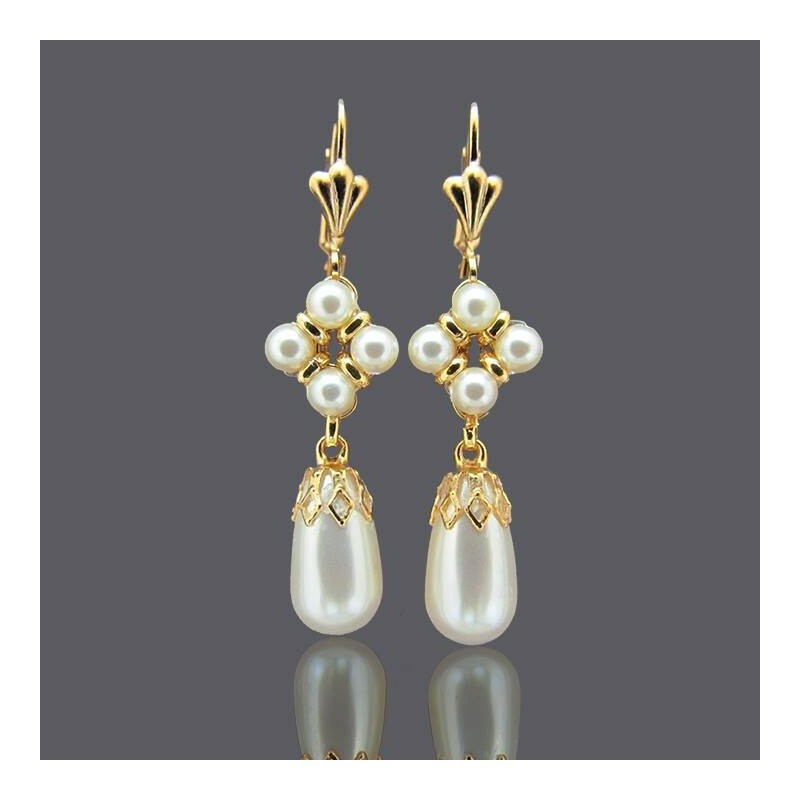 Delicate pearl drop earrings made of exclusive Swarovski pearls and capped with gold plated vintage elements. All my creations are made with a lot of lot and special attention on each detail. 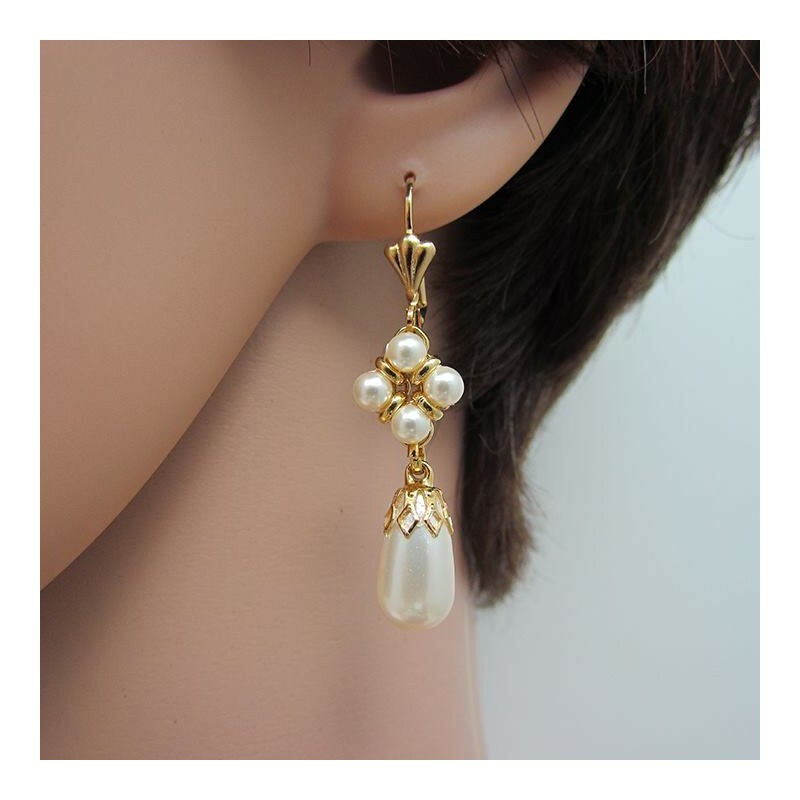 Gold flower drop earrings length: 0.8" /3 cm approx. 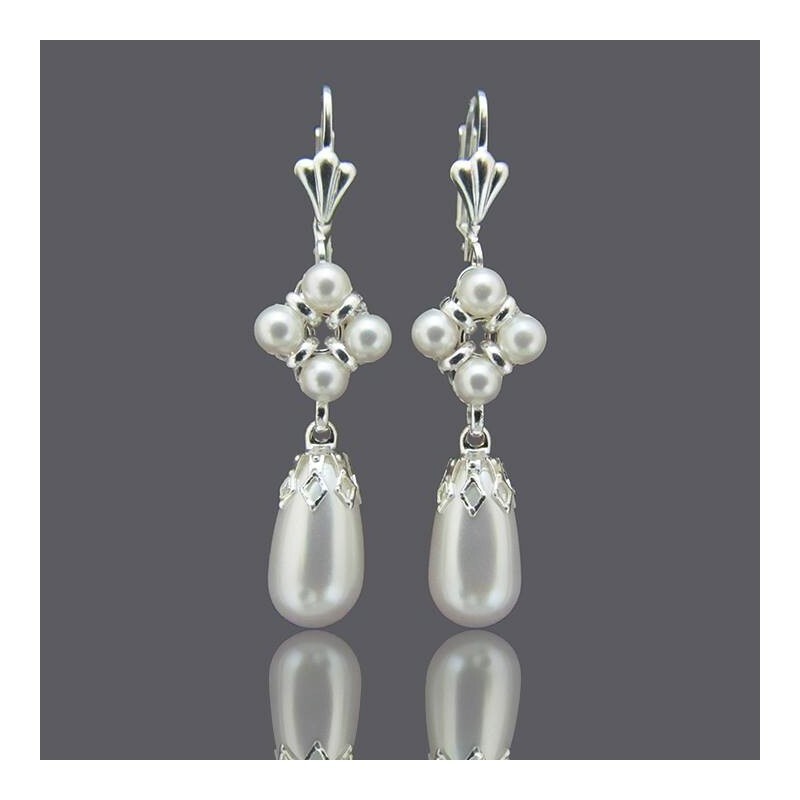 Flower shaped pearl drop earrings gold suitable for wedding and special occasions.